This story was conceived at Launch Pad, a week-long intensive astronomy workshop for writers hosted by SF writer and astronomy professor Mike Brotherton at the University of Wyoming in Laramie. It was an intense learning experience, tons of fun, and made all of our brains run out of our ears. 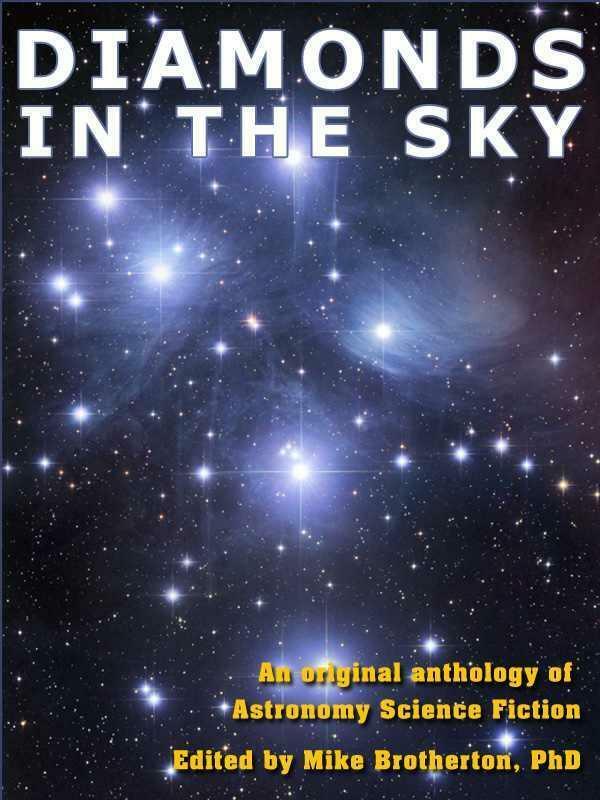 After the workshop, Mike announced an anthology, to be called Diamonds in the Sky, of science fiction stories that demonstrated various aspects of factual astronomy, to be made available for free as a textbook for high school astronomy classes. I don’t know whether or not anyone is actually using it as such, but I can tell you that it’s a cracking anthology and it’s well worth your time to read it. For more information about Launch Pad, you can read my blog posts from the workshop. … and the view didn’t change. Again she closed her eyes. Nothing. The galaxies in her view continued to shine vibrantly, almost overwhelming in their brightness and variety of colors. She squeezed her eyes tight shut, feeling the muscles tense, but they didn’t shut out the view. Instinctually she put her hands to her eyes, but that didn’t help either. She felt her closed eyes beneath her fingers, but her hands didn’t block the view. Now she was getting a little frightened. She pulled her hands away from her eyes and held them in front of herself. She couldn’t see her hands.